The United Arab Emirates (UAE) is a federal country in the Middle East comprising seven emirates; Abu Dhabi, Ajman, Dubai, Fujairah, Ras Al Khaimah, Sharjah, and Umm Al Quwain. The UAE is located on the Arabian Peninsula and is bordered by Oman and Saudi Arabia. It covers an area of 83,600 square kilometres, roughly the same size as Austria or the Czech Republic. Abu Dhabi is by far the largest emirate, spanning an area of 67,340 square kilometres. It is also the capital of the UAE. Dubai has a land area of just over 4,100 square kilometres. The population of the UAE has grown rapidly in recent times. Data from the World Bank shows that at the time of its formation in 1971, the total population of the country was just over 272,000. In 2014 the population was over 9.4 million. Abu Dhabi and Dubai are the most populous of the seven emirates. At the time of writing (July 2015), the latest official population estimate for Abu Dhabi relates to 2013. The Statistical Yearbook of Abu Dhabi 2014 (produced by the Statistics Centre Abu Dhabi) states that population of the emirate in 2013 was 2,453,096. Dubai has roughly the same population. The Dubai Statistics Center estimates that the population of Dubai at the end of 2014 was approximately 2,327,000. The UAE relies heavily on foreign labour, resulting in an extremely high proportion of immigrants to Emiratis. For example, the 2013 population of Abu Dhabi (2,453,096) consisted of 495,368 Emiratis (20.2 percent) and 1,957,728 immigrants (79.8 percent). Official figures do not break down the number of immigrants by nationality. However, data from embassies and other sources indicated that of the total population of the UAE in 2014 (9.4 million) the largest numbers of immigrants were from India (2.6 million), Pakistan (1.2 million), Bangladesh (0.7 million), Philippines (0.5 million), Iran (0.4 million), Egypt (0.4 million), Nepal (0.3 million), and Sri Lanka (0.3 million). 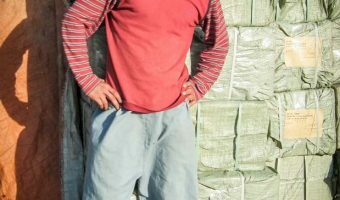 Many of these immigrant workers are single males or males that do not relocate to the UAE with their families. This has resulted in a huge gender imbalance throughout the country. For example, the population of Abu Dhabi in 2013 (2,453,096) comprised 1,747,833 males (71.3 percent) and 705,263 females (28.7 percent). The population of Dubai and other emirates show similar distortions. UAE public holidays in 2015 are listed in the table below. Most are Islamic occasions and follow the Hijri (Islamic) calendar. 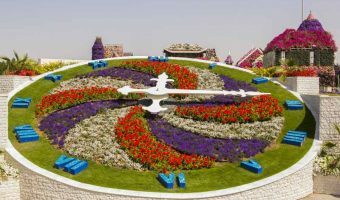 The Hijri calendar is a lunar calendar with 12 months and 354 days. Islamic holiday dates will therefore shift from year to year when using the Western or Gregorian calendar (365/366 days). Furthermore, as the start date of each Islamic month depends on local sightings of the moon, the dates of most public holidays can only be estimated. The government only confirms the exact dates of each holiday a few days in advance. Israa and Miraj Night May 16 2015 Islamic 1 Observed on the 27th day of Rajab (the seventh month in the Hijri calendar). Marks the time that Muhammad journeyed from Mecca to Jerusalem and then to heaven. Eid Al Fitr July 17 2015 Islamic 3 The end of Ramadan. Arafat Day September 22 2015 Islamic 1 Second day of the Hajj (annual Islamic pilgrimage to Mecca). Eid Al Adha September 23 2015 Islamic 3 The end of the Hajj. Marks the willingness of the prophet Ibrahim to sacrifice his only son. UAE National Day December 2 2015 Fixed 2 Held on the anniversary of the emirates gaining independence from the British. Celebrated throughout Dubai and the UAE with firework shows, parades, concerts, live entertainment etc. 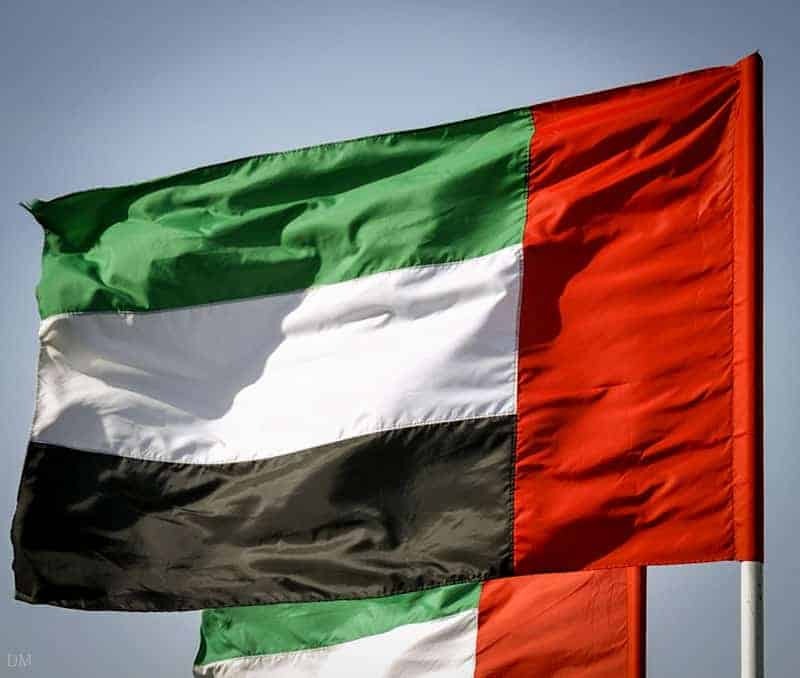 The flag of the UAE contains the Pan-Arab colours of red, green, white, and black. Each of the seven emirates, with the exception of Fujairah, also has its own flag. 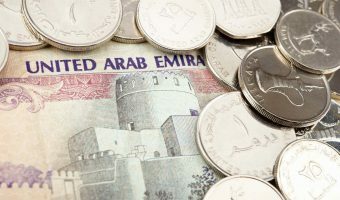 The dirham is the official currency of the UAE. Its ISO code/official abbreviation is AED (Arab Emirate Dirham). Other abbreviations used are DH and Dhs. There are 100 fils in a dirham. Bank notes have values of 5, 10, 20, 50, 100, 200, 500 and 1,000 AED. Coins come in denominations of 1 AED and 1, 5, 10, 25 and 50 fils. However, only the three most valuable coins are in common circulation. The dirham is pegged to the US dollar. 1 US dollar equals 3.6725 dirhams (1 dirham equals 0.272 US dollars). Rates were updated on Sunday 21st of April 2019 at 1:13 pm GMT. Live AED exchange rates for these and more currencies can be found here. The time zone of the United Arab Emirates is UAE Standard Time. This is four hours ahead of Coordinated Universal Time (UTC)/Greenwich Mean Time (GMT). In the UAE clocks are not adjusted in the summer for daylight saving time (DST). Like many countries lying near the equator, seasonal differences in sunlight hours are not significant enough to warrant a change. 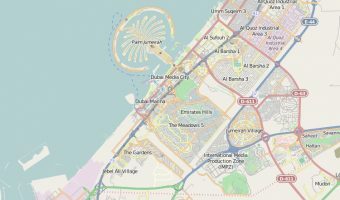 The current time in the UAE and time differences between the UAE and major cities around the world can be viewed here. Find out how many people live in Dubai and learn about the demographics of the city.